Sometimes finding out exactly how things work from the inside out makes us appreciate them that much more. “Animal Inside Out” is a special event at the Perot Museum of Nature and Science in Dallas, TX until February 17th, 2014. Visitors will be able to take an “anatomical” safari of some of the world’s most spectacular creatures. This one is definitely a must see! 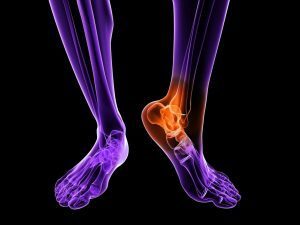 When we are afflicted by foot pain, it is wonderful that we have the advances in medicine to be able to get an inside look and find exactly what is going on. Heel pain in particular can be tricky, because there are several reasons that it can develop. We often blame getting older as the reason for foot pain and thus just put up with it. Foot pain is never normal, and it is always worth getting to the bottom of it. One of the most common causes for heel pain is plantar fasciitis. If just stepping out of bed in the morning is leaving you hobbling with pain, this condition is likely the root of your discomfort. It occurs when the band of tissue that runs along the bottom of your foot becomes damaged and inflamed. When your Achilles tendon endures a lot of strain, tendonitis can result, which often causes pain in the heel as well. Another less common reason for heel pain is a condition called tarsal tunnel syndrome. This occurs when the tibial nerve that runs down the back of the leg to the ankle becomes compressed. If you are involved in a sport with a lot of running and jumping, your heel pain could even be from a stress fracture. Don’t just attribute foot pain to aging or regard it as something you have to live with. If you have heel pain, contact Dallas Podiatry Works so we can find the cause and provide you with the right treatment. Make an appointment with Dr. Joel W. Brook, Dr. David R. Northcutt, Dr. Irene Arroyo and Dr. John Baca by calling our office in Dallas, TX at (972) 566-7474 or in Plano, TX at (972) 943-3323.